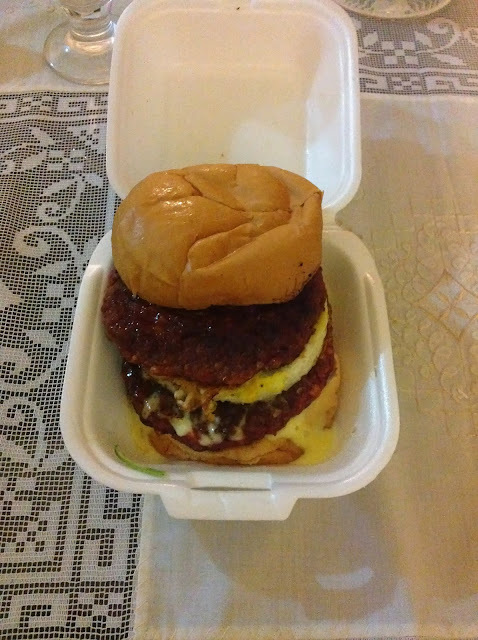 I was just craving for Ramlee burger tonight. So I decided to go to Hot Burger, owned by actor and TV host Fizo Omar. So I went to their Setiawangsa outlet near 7-Eleven. Had the... this is going to be long... Burger daging double dengan telur dan cheese, tak nak sayur. It's a simple meal and I'm glad they didn't put any black pepper sauce. To be honest, there's nothing extra special about the Hot Burger. It wasn't grilled in a special way or they didn't put any special sauce (I'm glad). The pull factor is the fact that it's owned by Fizo Omar... but I guess when you're hungry, anything is the best option right? Where to find Setiawangsa's Hot Burger? It's at the 7-Eleven near the field.